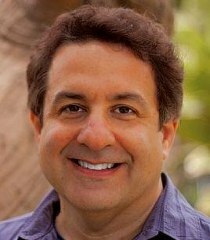 Jeff Allen Bergman (born July 10, 1960) is an American voice actor. He voiced Fred Flintstone from The Flintstones in Family Guy's season 13 premiere "The Simpsons Guy", a The Simpsons/Family Guy crossover. Guest stars in "The Simpsons Guy"
Modified on November 21, 2014, at 23:47.